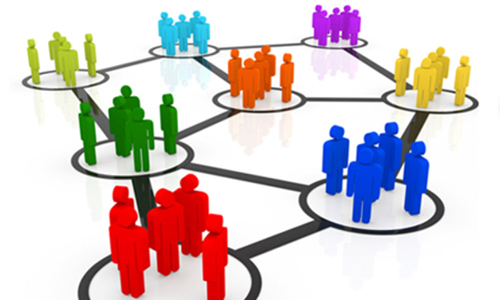 Finding Business Networking Groups in Your Area. Exchanging Referrals and Ideas in Your Network. Generating More Revenue for Your Business. How hard is it to find leads in the current market? Has it been an uphill struggle to connect with the right kind of prospects that will keep your business running? You’ve been at this long enough that you know the limitations that come from optimization, print ads, radio, TV and online ad campaigns. It’s one thing to put yourself out in front of your target audience but it’s a whole different game to start the engagement process. Not to mention that traditional advertisement is a sizable upfront investment. That’s why so many business owners turn to small business networking groups. In every major city in the Maryland, Virginia and DC area you’ll find groups of small business owners. These groups are made up of people from a variety of markets working hand in hand to pass referrals to one another. In many cases, they’re tightly knit communities that utilize simple social sharing to help lift up our local communities. They understand that business networking is the life blood of our local economy. When you network with the right people in and around your industry you make connections that can and do simplify your work. Whether you use a trusted business network in your community to outsource projects, handle overflow or pass on referrals you’re making your job easier. You spend less time working in your business and more time working on your business. For those within the group who take advantage of a referral, you’re not only supporting your local economy and reducing the load of another business owner but you’re gaining additional business. When you receive targeted referrals and help out within your network – you make more money. Other business networking sites focus on the individual. Those who join find themselves in a pool saturated with other small business owners trying to ply their trade. ReferralVaultgoes beyond the individual;we have created the ultimate referral source where business owners just like you can quickly find groups in your area – be it Virginia, Washington D.C. or Maryland – and push the envelope on local networking and marketing efforts. These and many more are common problems business owners like you face on a daily basis – thankfully there is a community where you can quickly begin to network with local small business owners whom can help you improve your position. Referral Vault provides maximum exposure for your business within the groups that promote through us. We take the legwork out of locating the perfect small business networking group for you. That means you can finally stop digging in useless groups that contain little to no relevant activity. Those groups that are a part of Referral Vault are here by invitation alone. Because group membership in Referral Vaultis exclusive, as a business owner you can certain that you’ll be meeting with industry professionals that are serious about improving their small business networking. And that’s just who benefits from the membership: You – the business owner. The entire purpose of Referral Vault is to give local business owners in the Virginia, Washington DC and Maryland areas a place to not only network online, but in person as well. There are hundreds of groups out there that could use an expert like you – Referral Vault just brings the two of you (or more) together. Professionals just like you rely on the small business networking capabilities of Referral Vault to reap the rewards of an investment well spent –time. The major benefit however goes to the group’s overall. As each group grows, the members within continue to support one another. That means that as you give to the group and other members within you will continue to get in return. Networking with real people and real businesses brings real results.